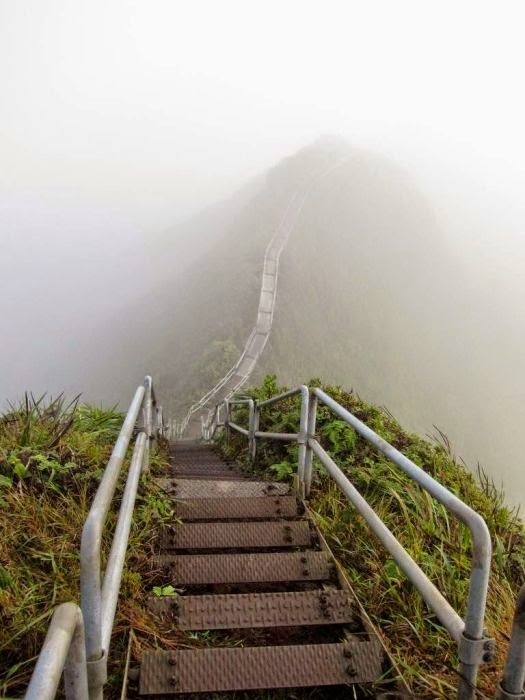 Are you up for an adventure? 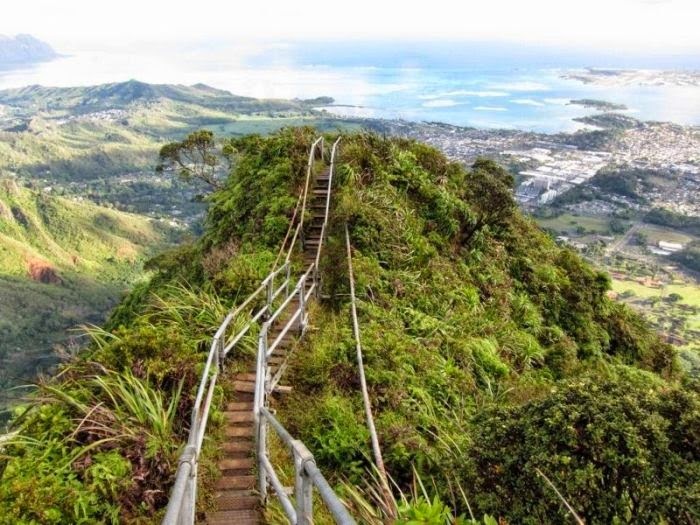 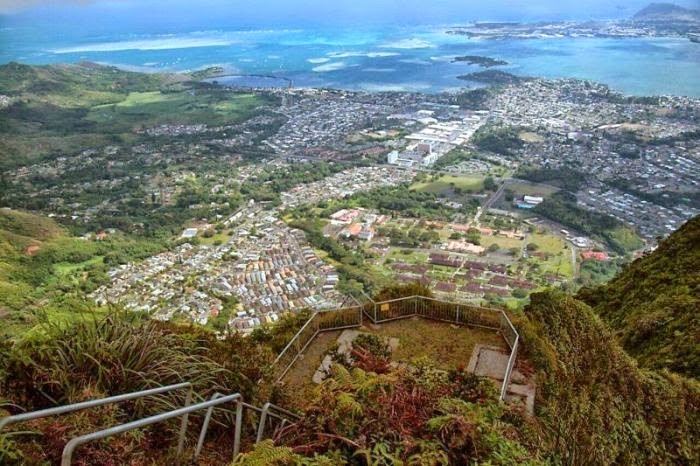 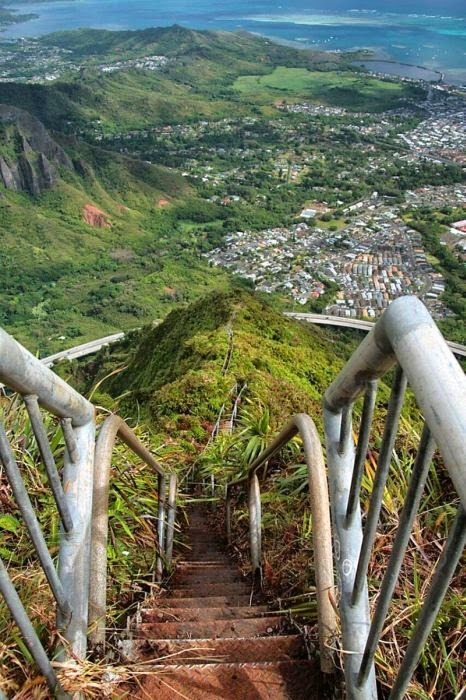 Well, I’m really talking about an adventure in images, because going to the actual location in Hawaii and visit the Haiku Stairs (also known as Haʻikū Stairs, a.k.a. 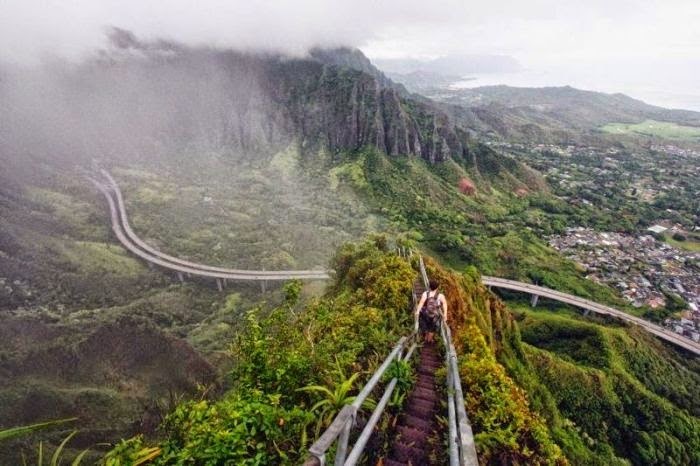 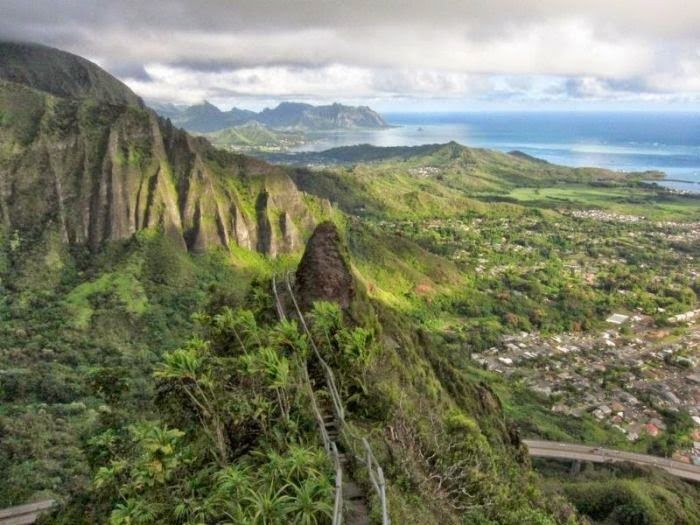 Haʻikū Ladder, Pali Ladder) is illegal, because the route is closed for repairs for some time. 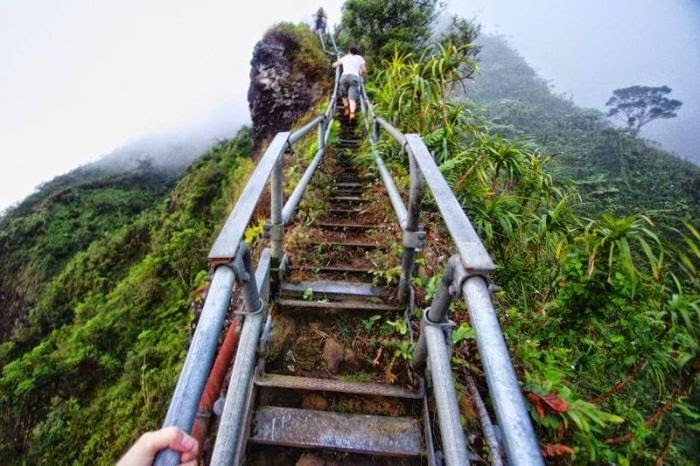 But this does not stop the adrenaline junkies and folks who love the beauty of the nature to step on all the 3,922 stars that lead to the top of Puʻukeahiakahoe foot peak. 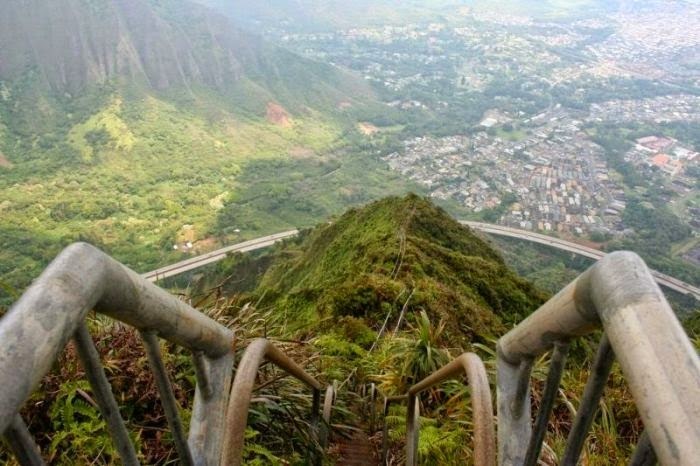 Although the Stairway to Heaven is really popular amongst tourist that visit these lands, the hike is really dangerous. 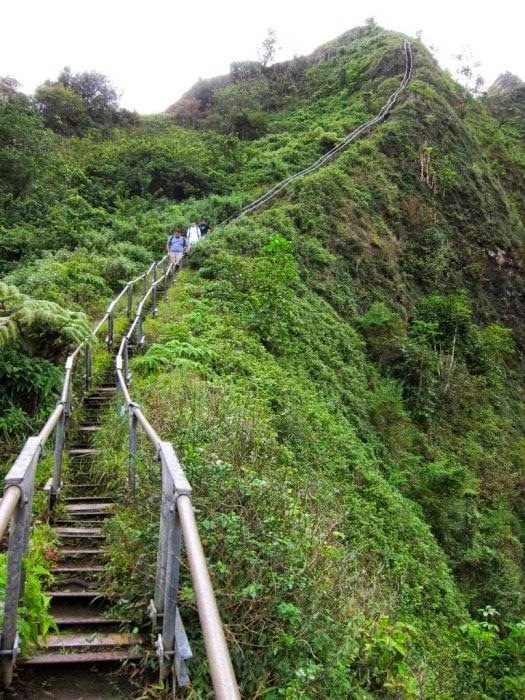 But according to the adventurers that completed the tour, the destination is worth the trouble and the adrenaline. 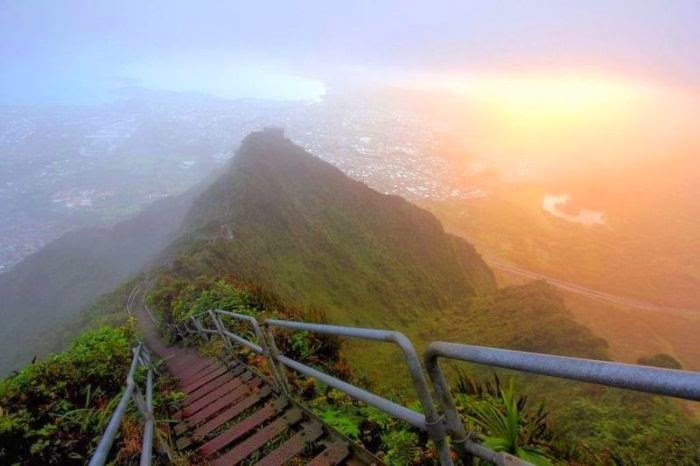 The history of Haiku Stairs began back in the days of World War 2, when they were built in order to install the Naval radio antenna. 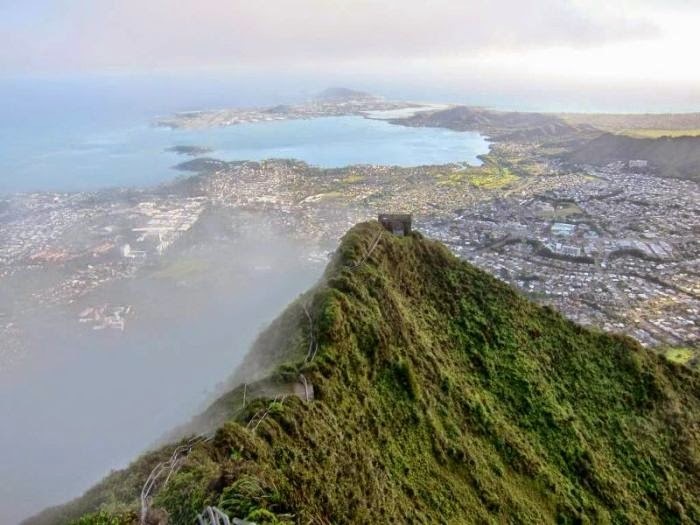 During that period, it was a part of Hawaii’s defensive installation. 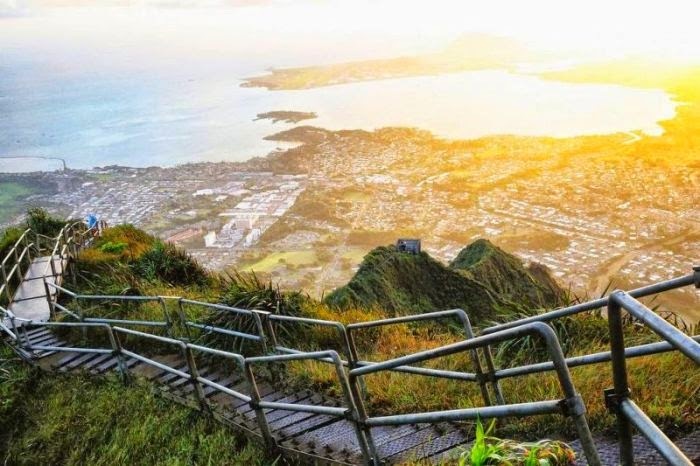 According to the tourists that visited the Hawaii stairs, the best place to complete this trip is during a bright time of the day.